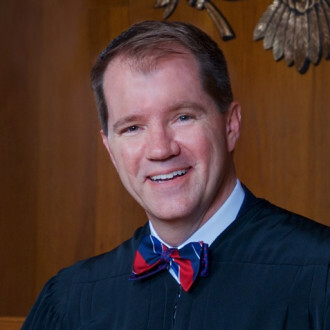 Don Willett serves on the United States Court of Appeals for the Fifth Circuit. Before joining the federal judiciary, Judge Willett served a dozen years on the Supreme Court of Texas. 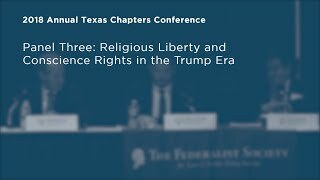 He has devoted his professional life to public service, and prior to becoming a judge, he served as legal counsel to a Texas Attorney General, a Texas Governor, a U.S. Attorney General, and the President of the United States. Raised by a widowed mom in a doublewide trailer in a town of 32 people, Judge Willett is his family’s first college graduate. He earned a triple-major BBA from Baylor University and then three degrees from Duke University: JD with honors, MA in political science, and LLM in judicial studies. After law school, he clerked for Judge Jerre S. Williams on the U.S. Court of Appeals for the Fifth Circuit, and then practiced law at Haynes and Boone, LLP before entering public service. Judge Willett publishes widely and speaks frequently throughout the country. He is a Senior Lecturing Fellow at Duke University School of Law and will soon be the Jurist in Residence at J. Reuben Clark Law School at Brigham Young University. He is the former editor in chief of Judicature—The Scholarly Journal For Judges, and has been honored four years in a row for “exemplary legal writing” by The Green Bag. He is a member of the American Law Institute, and a Life Fellow of the American, Texas, and Austin Bar Foundations. A native Texan, Judge Willett is a former rodeo bull rider and professional drummer, and in 2015 he was named the Tweeter Laureate of Texas. He and his radiant wife, Tiffany, are the exhausted cofounders of three wee Willetts.